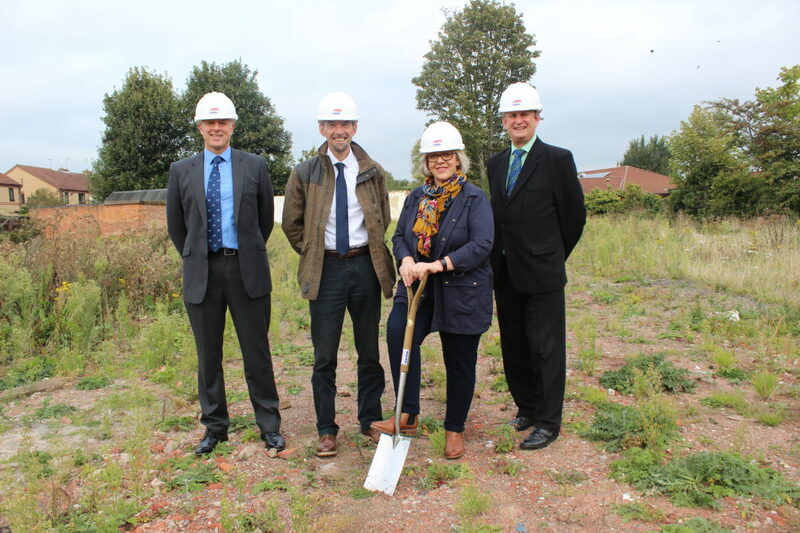 Gelder Group is to develop 24 retirement flats on its site at North Marsh Road in Gainsborough in a partnership with Ongo Housing Association. The project, which has been a number of years in the making, will deliver much needed retirement properties in the town and also employ students from the Gelder sponsored Construction Careers College. Thanks to everyone involved for getting this scheme over the line, negotiations begun back in 2014 despite hold-ups at every turn we are now on site and delivering a major local project in the town. 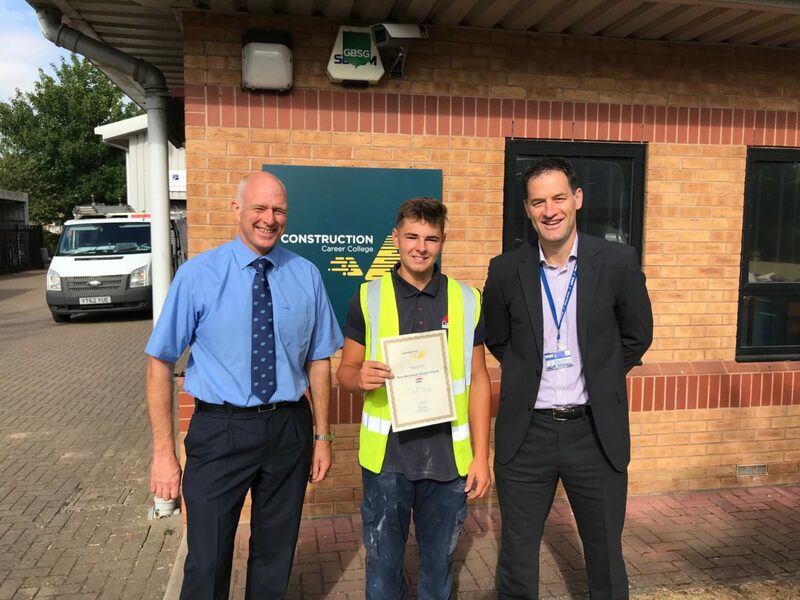 Gelder apprentice Jack Jarvis has been awarded Lincoln College’s ‘Bricklaying Student of the Year’ award for his work during the past 12 months. 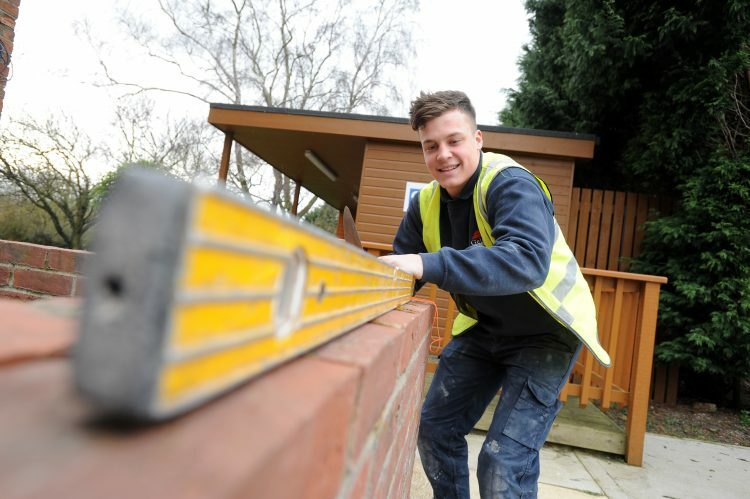 Jack (18) was one of Lincoln Colleges Gainsborough Construction Career Colleges‘ first students and secured himself a position at Gelder Group in November 2017. Since starting with the Group he’s worked on a wide variety of contracts broadening his horizons and skills and is excelling at his chosen career path. The Gelder Group (a founder member of the Construction Careers College, which was the first in the UK) have trained over 350 apprentices since it was formed in 1988, and has set itself a target of recruiting a further 70 apprentices during the course of the next 3 years. I am delighted to receive this award and am thoroughly enjoying my apprenticeship at Gelder Group. 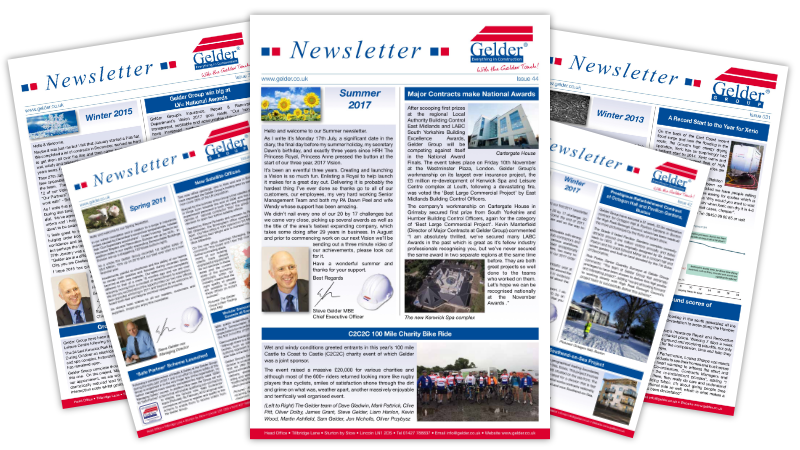 For further information on Gelder Group and it’s apprentice opportunities visit our dedicated apprenticeships page. The Group has appointed two new apprentices from Lincoln College’s Construction Careers College in Gainsborough – the college Gelder Group was a joint founder of and continues to be the main sponsor. 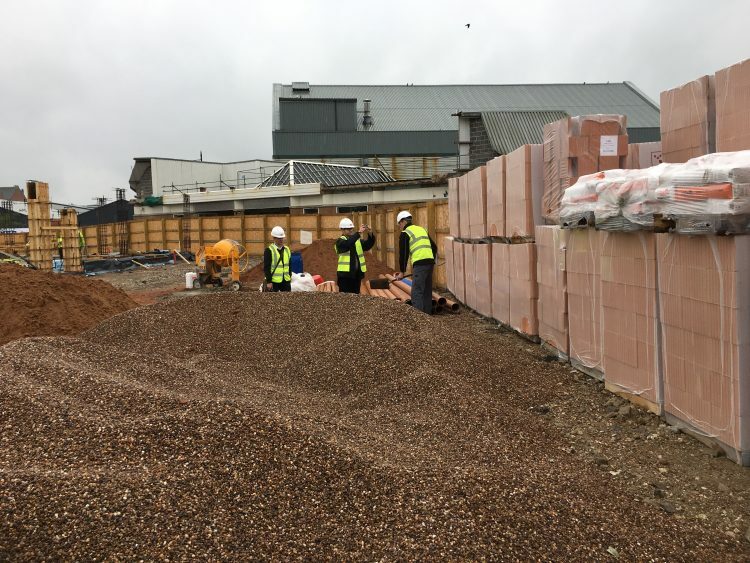 The college, which is the first of its kind in the UK, was set up in 2016 by Lincoln College, Gelder Group and a number of other construction specialists, to help students prepare for a career in construction. Lincolnshire-based Gelder Group has trained 300 apprentices since its formation as a two-man building outfit in 1988, and 96% of those were offered full time employment at the firm at the end of their apprenticeship. Jack Jarvis, 17, and Sandis Kupreicik, 23, who are studying bricklaying at the college, today visited the firm to sign a 2 year apprenticeship contract. The first person ever employed by Gelder Group started life as an apprentice and now 29 years on he’s still with the firm, which is just one of many who have joined us following an apprenticeship. There is a massive shortage of workers in the construction industry across the UK and our mission has always been to support the next generation and reduce that gap as much as possible. 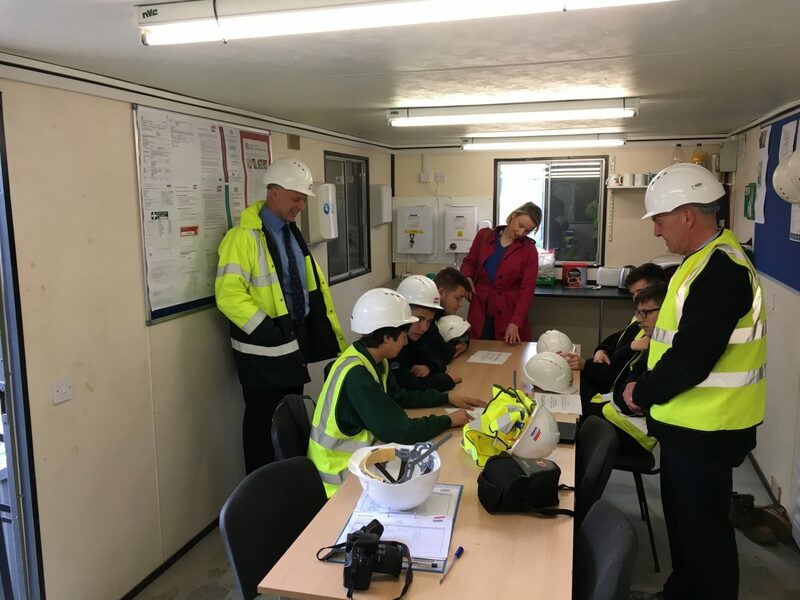 I asked students at the Construction Careers College to submit their CVs for this opportunity and it was Jack and Sandis that stood out due to their passion for the industry and eagerness to learn from our team. I’m looking forward to welcoming more apprentices over the coming years and to working with Jack and Sandis, I hope they enjoy their time with us. Jack and Sandis’ appointments come just three months after the construction firm announced it will double its apprenticeship intake over the next three years. The two students will spend four days a week onsite with the Gelder Group team and one day studying at college. 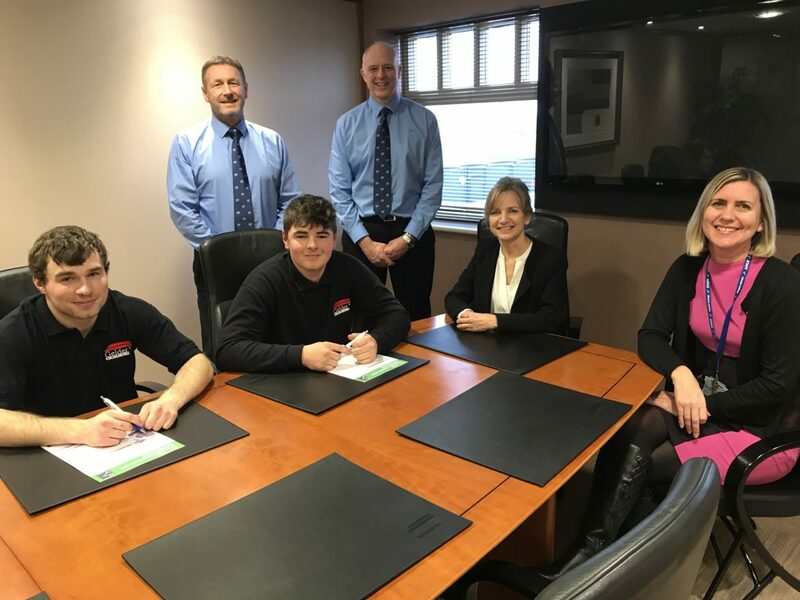 We are absolutely delighted that Gelder Group is taking on two of our Construction Career College students as apprentices. 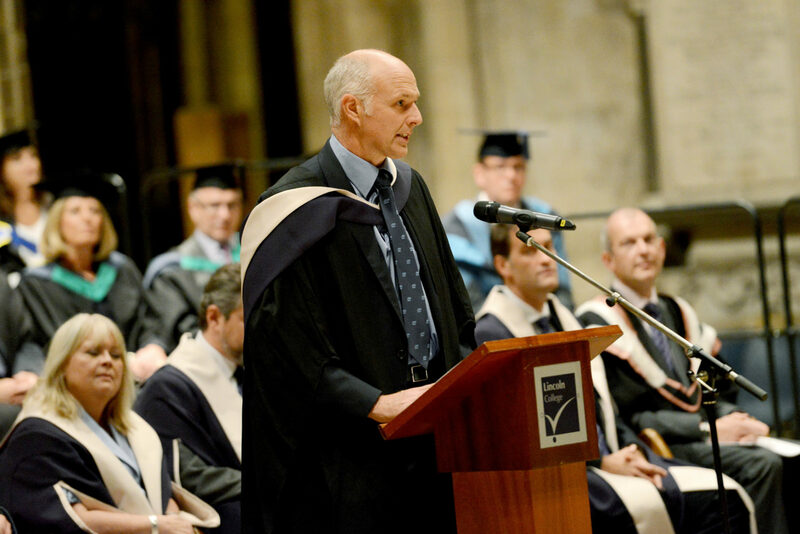 Steve Gelder, who started out as a Lincoln College Apprentice, has been the driving force behind our Construction Career College, the first of its kind in the UK. His firm, along with many other local employers, have helped us to create employer-led training that produces highly skilled young people to support the local economy. We’re really proud of Jack and Sandis and the fact they have secured apprenticeships with such a great local employer and we wish them all the best. We are currently recruiting for next year’s intake at the Construction Career College. 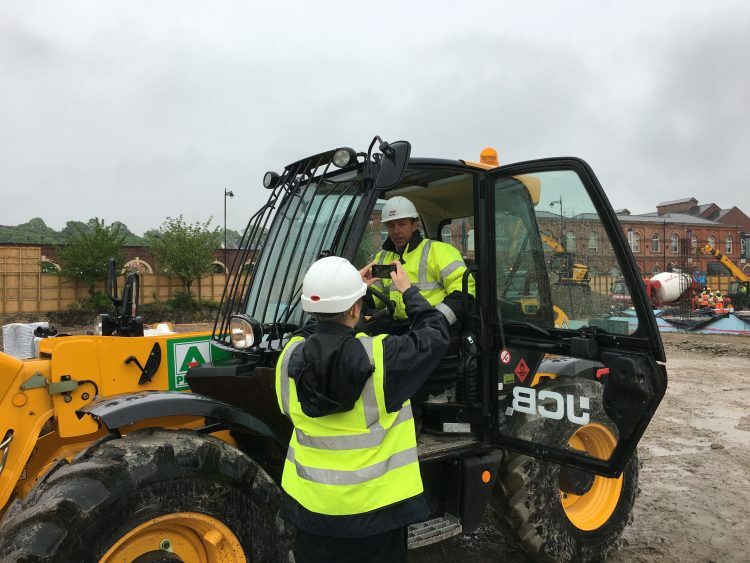 We would urge young people in the Gainsborough area, who are interested in a career in construction, where you can earn up to a £1,000 a week, to apply. If you are interested to know more about apprenticeships with Gelder Group, please get in touch, or visit our Apprenticeships page. Steve Gelder presenting high visibility jackets and hard hats to the students. 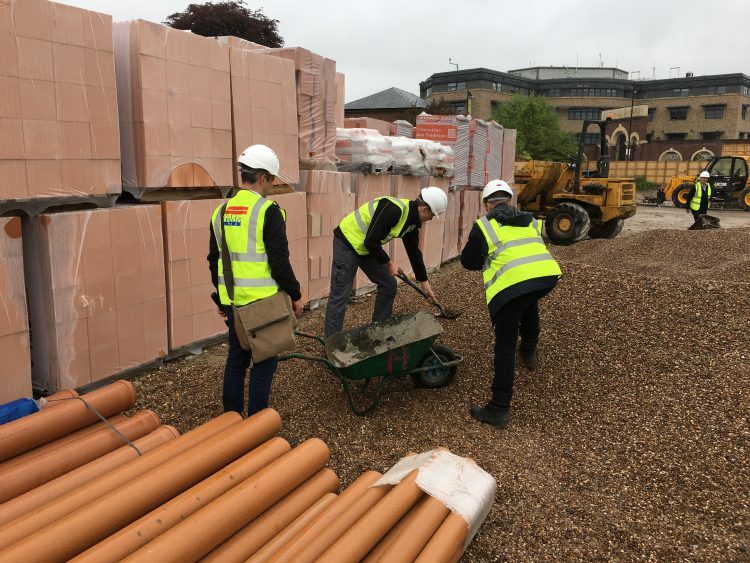 Inline with the Gelder Group’s 20 by 17 Vision for training, the company has been the driver behind seeing the UK’s first ever Construction Career College open in Gainsborough – a partnership with Lincoln College Gainsborough Campus. 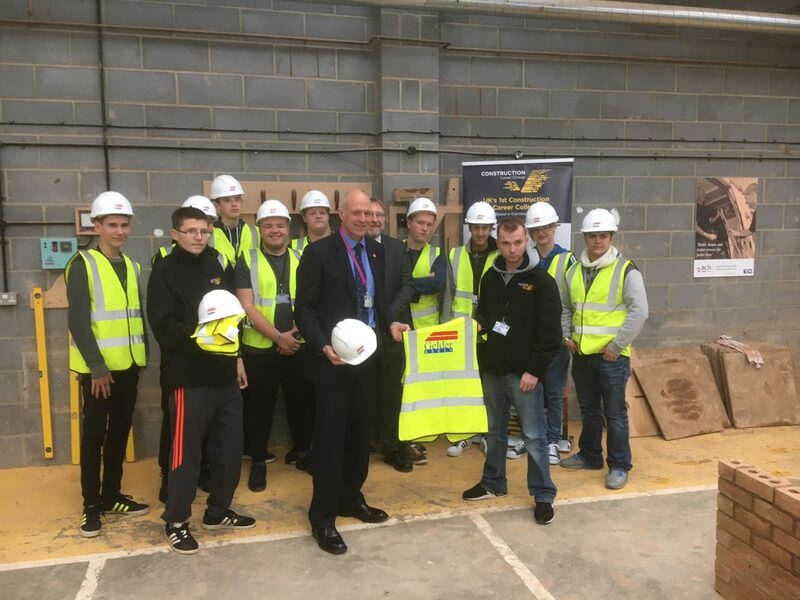 The Gelder Group were also delighted to assist the students to get ready for work by donating Personal Protective Equipment (PPE) in the form of hard hats and high visibility jackets, presented to the students by Group CEO, Steve Gelder. According to the Government Farmer Review, published 17th October, the UK faces a 20 – 25% reduction in the available construction workforce in the next decade, something the UK has never faced before. I’d urge other construction companies to get involved with the College. I’d also urge other Gainsborough kids to give a career in construction consideration, I started out laying bricks, it’s a great career and I have absolutely no regrets choosing it. If you would like to know more about the Construction Career College, please get in touch. Tori Norval, Apprentice Design Assistant working with the students. 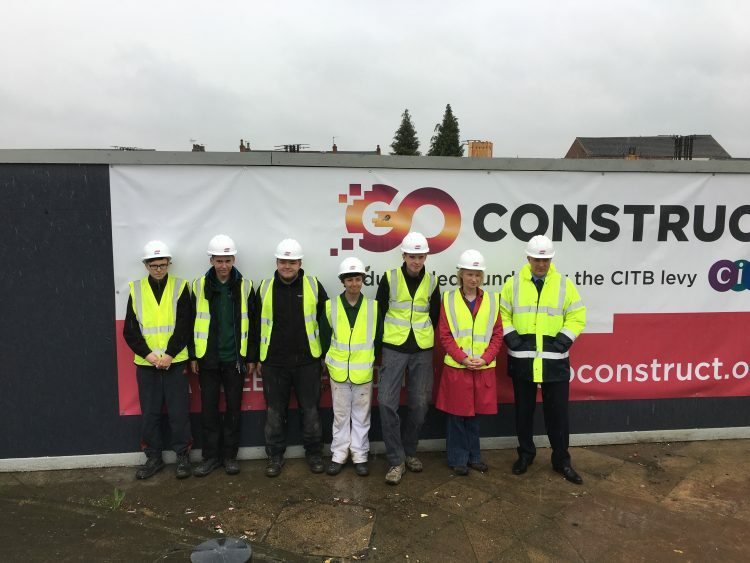 The UK’s first Construction Careers College in Gainsborough has now enrolled over 20 students onto the course. Many local construction organisations are getting involved. They are helping to develop the curriculum and course format, as well as providing staff to undertake workshops with the students. 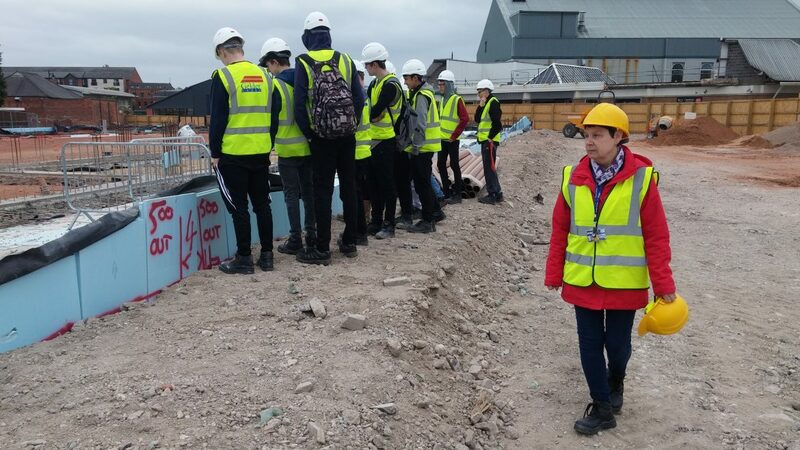 The Gelder Group Design Department recently undertook a design workshop with the students, with the hope of inspiring them to pursue careers in construction. Everyone did fantastically and we were impressed at the student’s efforts. If we got the opportunity to do it again, then we’d be happy to put ourselves forward. This new college represents a unique opportunity for young people to secure a lucrative and rewarding career, and for the region to plug its skills gap. If you would like more information about the Construction Careers College, please get in touch. Construction career college is being created in Lincolnshire. The country’s first ever construction career college is being created in Lincolnshire. The college will be based at the Gainsborough campus of Lincoln College and will help students find a job in the construction industry. 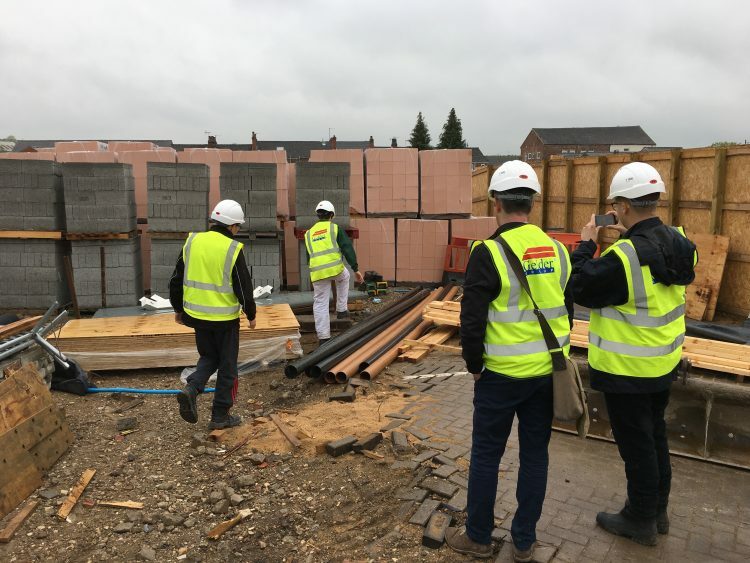 The college will be ready to take its first students in September and will help tackle a nationwide shortage of builders needed to construct the 200,000 homes the Government says need to be built every year. Students, can specialise in bricklaying, painting and decorating and carpentry and joinery, but will also be receive technical training. We are offering fast-track pathways into lucrative, secure careers that do not lumber our young people with debt. For many students in Lincolnshire, this career college and others like it are the right choice for them. What really excites me is that it is all kicking off in my home town of Gainsborough. It is not often that Gainsborough gets the opportunity to lead the UK at something, so it is a great opportunity for the town, its leaders and its residents to shine – which they will. The construction industry employs around 2.2 million people, which means it needs 44,000 new apprentices/trainees a year just to replace the ones who are retiring. Despite this, less than half that number are actually coming through at present, which is why this construction career college is so important. There is also a housing shortage and the Government wants to ramp up house building from 120,000 units to over 200,000 each year, so the demand for skilled workers is massively outstripping supply. As a result, tradesmen’s wages are rising at three times the national average, which is great for them, but not for the economy as a whole. We are delighted to hear that Gainsborough will be the location for the new Construction Career College. Through discussions with our members, Lincolnshire Chamber of Commerce has highlighted the skills gap in the area and it is great to know that action is now being taken to remedy this by providing training for our young people. We are really pleased to see that our member Gelder Group along with others are key sponsors in this initiative, providing real life experience and knowledge for the students to take into the industry. For full details see the Lincolnshire Echo’s article, or get in touch.